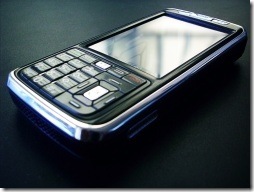 It’s no secret that mobile phones can be tracked by phone companies. The technology has existed for years and there are usually privacy laws in place so the facility isn’t abused. A new system has been designed to track mobile phones in a defined area such as a shopping centre. It works by tracking the unique IMEI number that every GSM phone transmits. They can’t track your name or phone number using this, but they can work out your shopping habits such as which shops you walk into. If they were extra smart they would link your name, when you pay for something with a credit card, to your phone’s ID. But they haven’t done this yet. It’s already been installed in two US shopping centres (one of them is Gunwharf Quays in Portsmouth). Apart from marketing and security data this provides to its operators it’s a privacy issue to regular people. Read the full article here.